President Donald Trump has said that he is open to meeting with Iran’s leader "without preconditions" in an effort to improve strained relations after he withdrew the US from the Iran nuclear deal earlier in the year. Sputnik caught up with Professor of international relations at Durham University, Anoush Ehteshami, to find out whether such a summit is at all likely. Sputnik: So President Trump has said that he is open to talks with Iran’s leaders “without preconditions” – to begin with, is there a likelihood that such a meeting could happen? Anoush Ehteshami: I see it as unlikely given the bombast which has preceded this latest announcement that he made in passing. 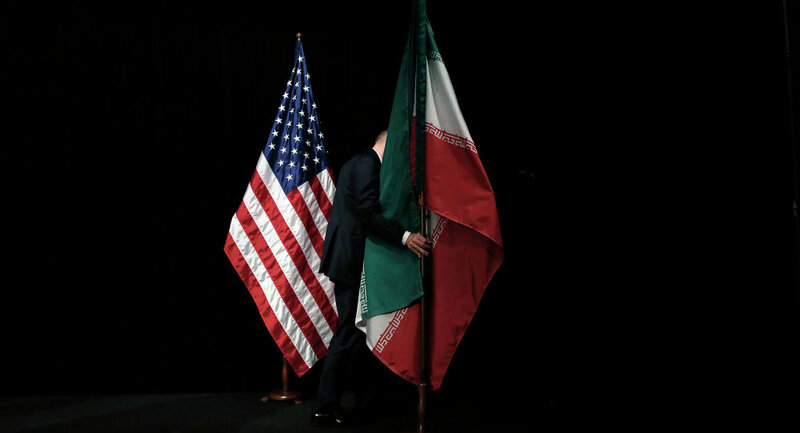 But also the Iranian political culture, which will refuse to at least in public, be seen to be bowing to pressure where on the one hand America threatens war that it never experienced before, and then on the other hand to offer to meet with him. But also, it’s unclear with whom he wants to meet; president Rouhani or leader Khamenei? Those are very different personalities with different outlooks and positions and also different responsibilities within the state. Sputnik: Even if such a meeting were to happen, how likely is it that Tehran would comply with Washington’s demands, like ceasing much of its regional activities, for example? Anoush Ehteshami: Well if you go by what President Trump achieved with Kim Jong-un of North Korea, then, what he seems to be looking for is some sort of public show. He seems disinterested in the details. Ironically, the news today as of North Korea, is that there is intelligence emerging that they have continued to develop their ballistic missile programme, for example. So, you know if this is to provide fog over the details then I think the Iranians will be happy to go along with that, so long as they don’t have to compromise on many of the issues that ironically they’ve had to compromise on within the nuclear deal which is currently in force thanks to the EU, Russia and China. Sputnik: Some might say that considering Iran’s economy is now hitting dire straits and the US-imposed sanctions are only going to get tougher from here, is it likely that, eventually, Iran will have no choice but to sit down at the negotiating table with Washington? Anoush Ehteshami: I’ve been arguing for some time that they have to be much less intransigent and highfalutin in their foreign policy and see the world as it is, rather than how they imagine it to be. And for all of the disdain and dislike of the Americans, and this president in particular, frankly you’ve got to deal with the world that you’ve been given. It’s foolhardy of Iranian leaders to refuse to meet with President Trump or with members of his team because that distance merely fuels suspicion in the United States and merely eggs on the more right-wing elements in the administration to isolate Tehran and to mount pressure which is already growing on it. The best way of defusing that, of course, is to enter some kind of dialogue whether private or public that is totally material. Russia, China and the EU have all offered their good offices to try and facilitate a dialogue on a wide range of issues. The other problem that I had with presdient Trump’ statement of this unconditional dialogue; that means nothing to Tehran. Actually for Tehran if things are itemised the better because they can then draw some sort of a domestic consensus about which they can talk to the Americans about. This kind of a blanket approach worries then even more than the specific targeted approach, which ironically the list of 12 seems to suggest. The views and opinions expressed by Anoush Ehteshami do not necessarily reflect those of Sputnik.